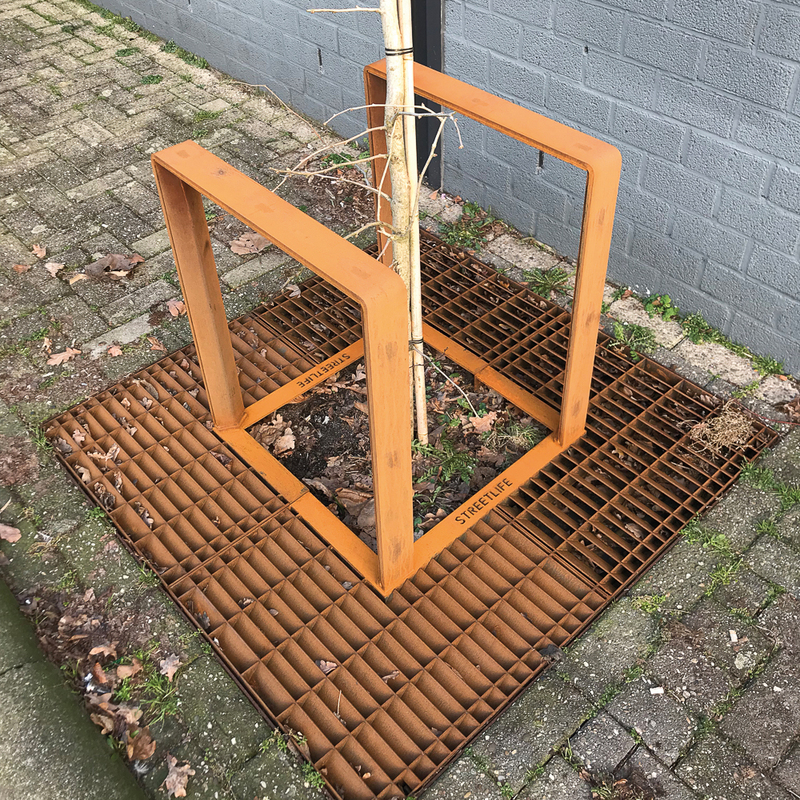 Finishing the Tree Guards in CorTen steel creates a beautiful coherence with the CorTen Tree Grids. 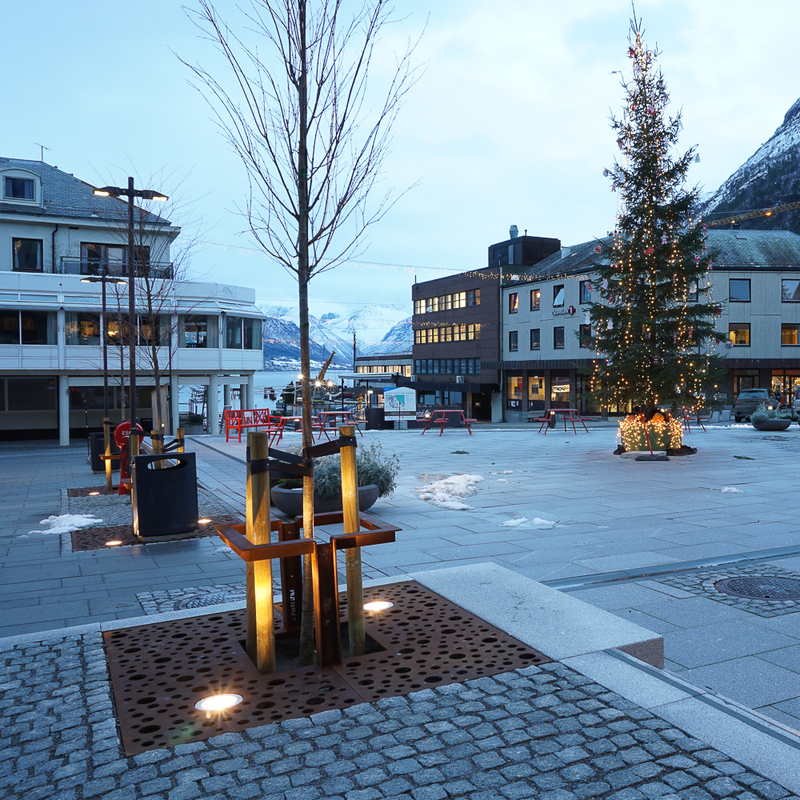 The sustainable design of grid and guard delivers a warm, contemporary image that blends perfectly with trees. All Tree Guard models are fitted with the patented Guardlock® mounting system. This smart system ensures a beautifully detailed and solid mounting of guard to grid, without the fixings being visible. The Lotus Tree Guard has continuous vertical CorTen slats. This sturdy tree guard has a more natural shape. 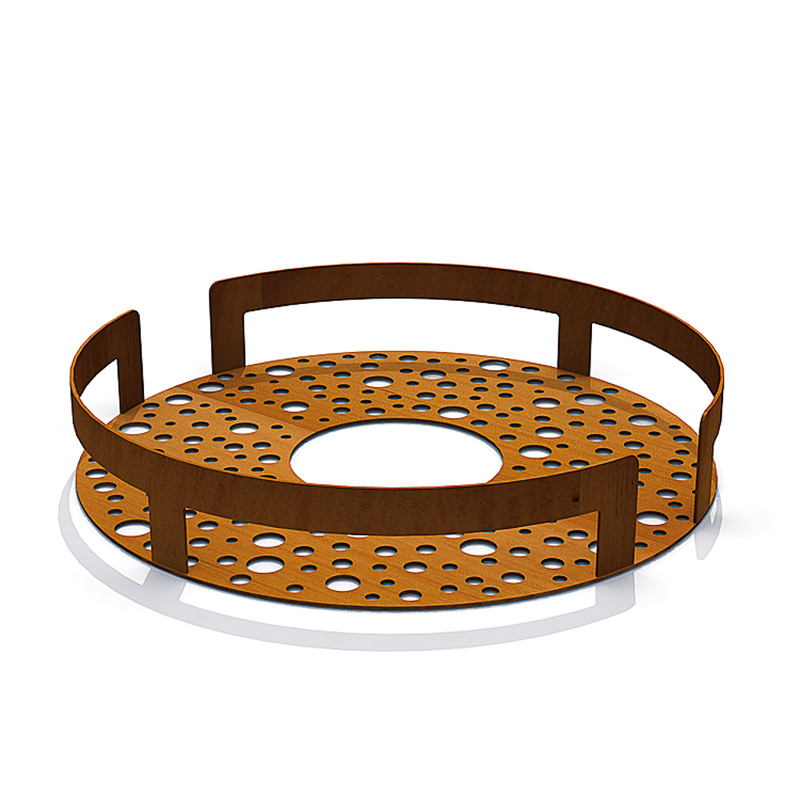 The Round Tree Guard is based on an understated, minimal design. The Tree Guard beautifully aligns with the roundness of the trunk. The Round Tree Guards are beautifully detailed and are a full-fledged alternative to the classic tree protector. The CorTen steel or stainless steel side plates join the two halves together. 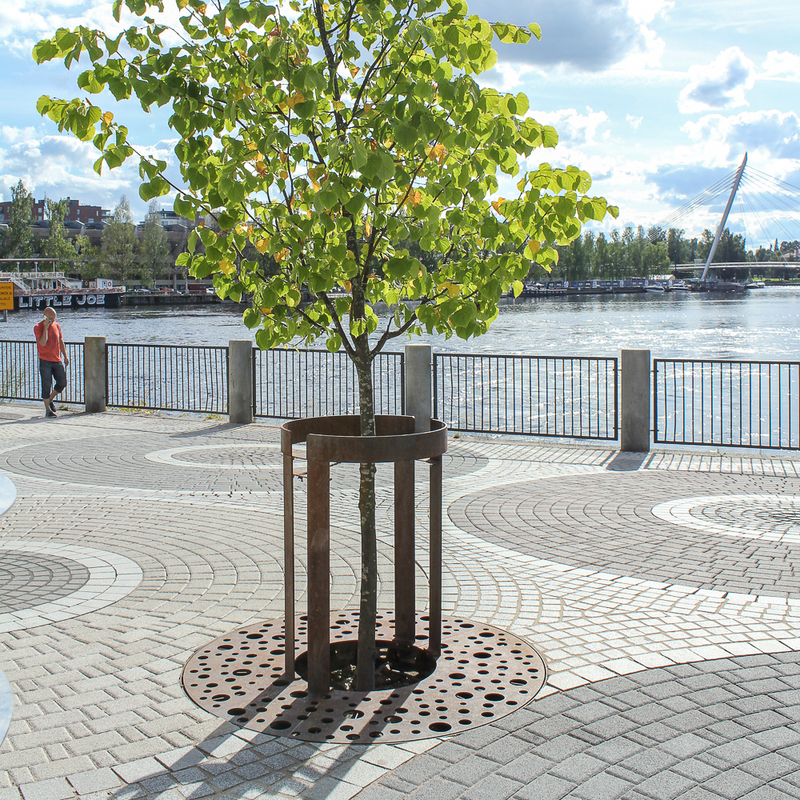 The Carré Tree Guard is square-shaped and can only be combined with square tree grids. The Solid Tree Guard combines a rugged design with an attractive wooden Solid top slat of FSC® hardwood. 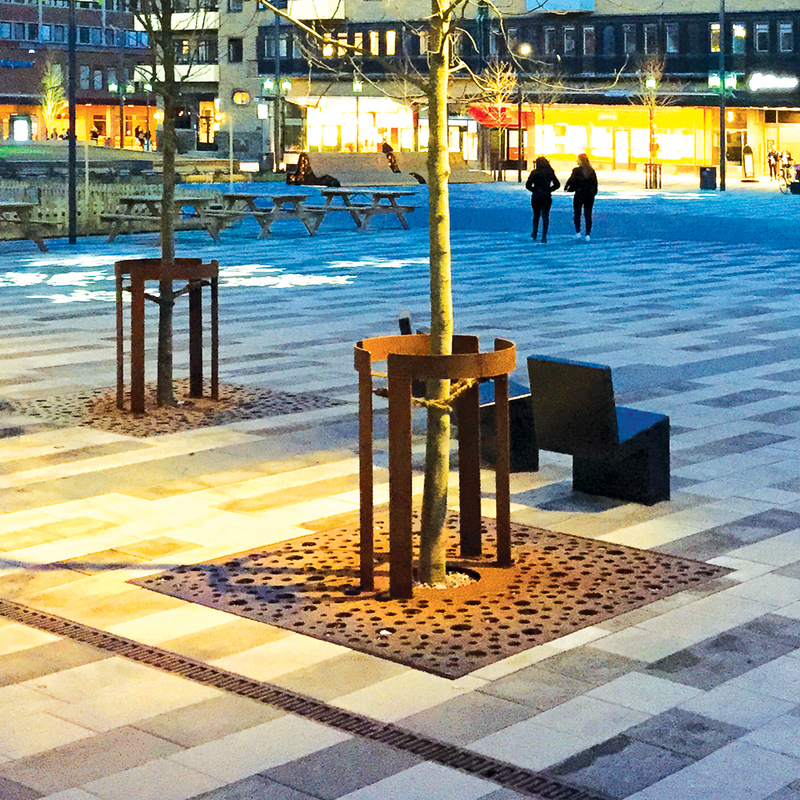 It is a sturdy guard that forms part of the Solid Series of street furniture. The new Tree Guard Outline provides the optimal balance of transparency and support. ·Available in diameters ranging from ca. 50 to 180 cm | 20" to 71" and heights of 30 tot 135 cm | 12" to 53"